On April 8, iCloud, the world’s first free online computer launched after eight years of development. 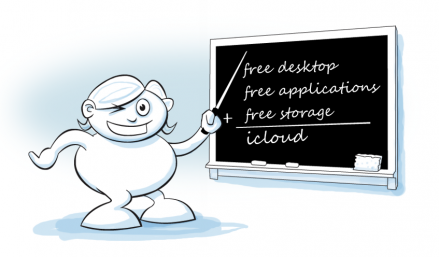 It allows users to have free storage, applications, virtual desktop, and backup in the cloud, accessible from any computer connected to the Internet. The version that is now available to the public includes access with 3GB of free storage space (which isn’t much), 30 free applications (such as Office, Mail, Music, Video, IM, Sharing, Games, Collaboration, and Development tools), 20 free widgets, free backup to provide secure storage. 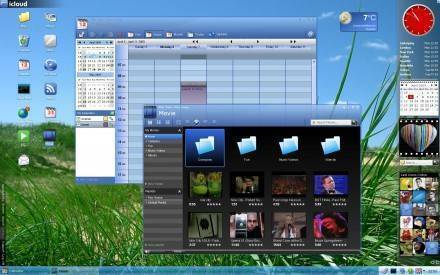 Further, it doesn’t require installation and can be run through Internet Explorer or Firefox. That means Safari, Chrome, and Opera lovers will just have to wait a bit longer. No word yet on whether it can be accessed from Firefox Mobile. According to the site, even getting it running with Firefox is still being worked on. Also, no word of basic specs that are needed to run such a application. I used it for a while and noticed that loading was a bit sluggishly. You can start your own free account over at iCloud’s website. Do tell us whether you liked the software or not and your personal opinion to improve it !! Next articleHow to remove one operating system from dual boot windows? Glad that the icloud team found my blog and commented here. Sure, i will post about your latest release, if i like it !! More browser will follow, but as you pointed main focus now is to get Firefox spinning. Yesterday’s releases included quite a few new applications working on Firefox, including Mail, Movie and iPlay. @Jojjoba Glad you liked the post and the software in particular !! Hope you visit us often !